Comment: I would like to hire a professional to replace the hand rail and Oak stairs that are inside the house. There are 6 steps. Comment: A couple carpentry and painting projects. Kitchen ceiling cracked in a couple spots, cracking in ceiling in family room, sun porch has rotted wood on outside, side of garage car hit and a part on roof. Comment: The side lite to our front door has lost its seal and moisture fogs it up. It needs to be cleaned and repaired and resealed. Comment: I would like to get an estimate to build a pergola above our patio. Comment: There is condensation in-between my double plane windows in my mobile home. Rochester Carpenters are rated 4.61 out of 5 based on 486 reviews of 27 pros. 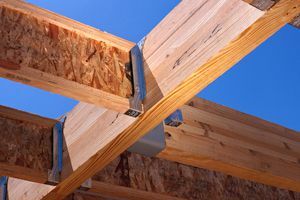 Not Looking for Carpenters Contractors in Rochester, MI?